You have a beautiful photo album. It was made by hand using archival materials and time-tested techniques. It is full of high quality prints that are mounted using archival adhesive. You have a priceless object that can last for centuries! Now how are you going to keep it in good shape? Follow our suggestions, and you'll be well on your way. Keep your album in a cool, dry place, ideally no warmer than 70 degrees F.
If possible store your book flat with nothing on top of it. If you're storing your album vertically, give it enough space so that it doesn't become warped by surrounding books. 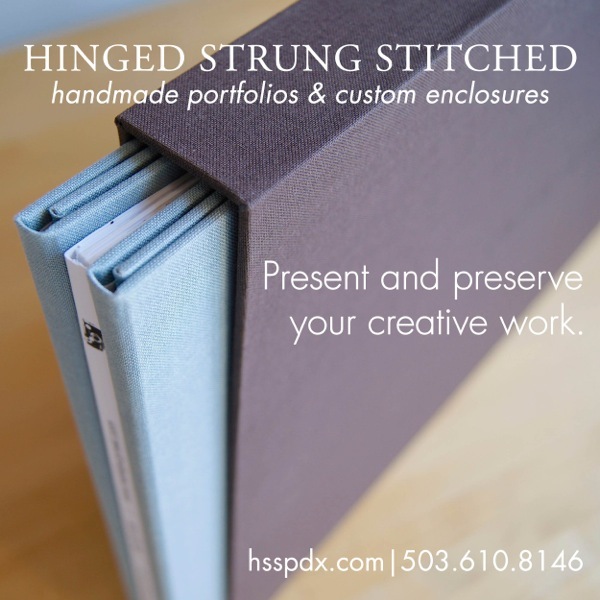 Consider investing in a slipcase or a clamshell box to protect your album. Wash your hands before leafing through your book. Pull your album off the shelf by grasping the spine. Always support the covers when your book is open. If you choose to write notes in the margins, do so with an acid-free pen. Avoid spills. Don't look at your book with a glass of wine in one hand and a burpy baby in the other. Keep your album out of direct sunlight, covers can fade. Don't let your cat sleep on the album. Don't touch the photos, finger prints are difficult to remove. Ultimately, books are made for us to use and enjoy. Their primary function is to protect what lies within. A little wear and tear shows love and adds history and personality to the book. Click here for info on older album types and how they preserved (or destroyed) photos. Or learn how to treat spills on book pages.